Tuesday: Rain, maybe a thunderstorm. Mid 60s. Friday: Some sun, maybe some rain, upper 60s. Monday-Sunday: The first New Scotland Ave Restaurant Week will include a variety of discounts and specials at restaurants along the commercial strip in Albany’s Helderberg neighborhood. Nine establishments are participating. Jay “The Sport” Jackson needs one more win to become heavyweight champion of the world, but in the Jim Crow reality of 1905 America, his greatest opponent may not be in the ring. 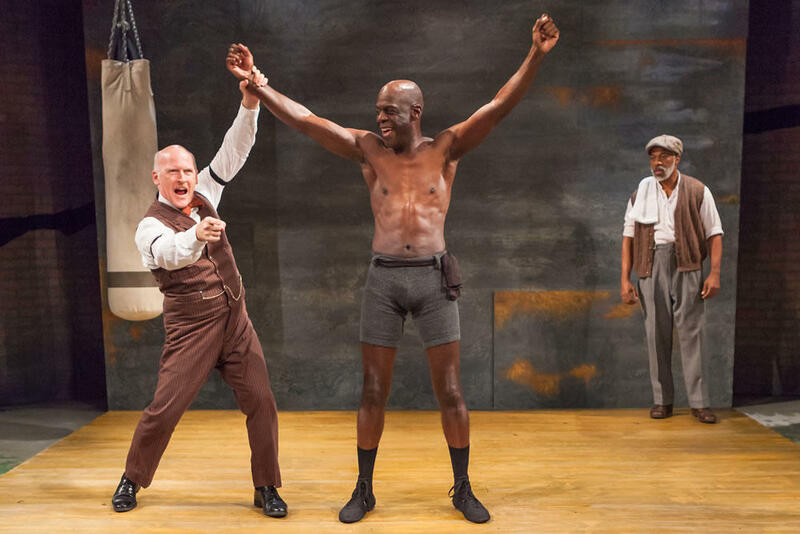 Inspired by the true story of trailblazing boxer Jack Johnson, The Royale bristles with the thrilling rapid-fire dialogue and rhythmic punctuation of playwright Marco Ramirez (Netflix’s Daredevil, Orange is the New Black). This powerhouse of a play brings to explosive life the ultimate fight for a man’s place in history and packs a punch that will leave you breathless. A heads up for the weekend: The first (very big) Albany Book Festival will be at UAlbanySaturday. And Friday evening the new state author and state poet — Colson Whitehead and Alicia Ostriker, respectively — will be inaugurated in a public event at UAlbany. These are a just a few things for this week, not a comprehensive list. Look for out “Stuff to do this weekend” list for the upcoming weekend on Friday. Know of something people should be looking forward to this week? Please share!